We’ve waited over four long years, but there is finally new U2 music! “Ordinary Love” is featured in the new Nelson Mandela biopic Mandela: Long Walk to Freedom starring Idris Elba. It will be released in a 10-inch vinyl pressing to mark Record Store Day on November 29th, with a new version of “Breathe” on the b-side. U2 was asked to contribute a song to the movie. After watching many clips from the film, they wrote a song that truly represents Nelson Mandela, their friend for over 20 years. Mandela: Long Walk to Freedom is due in theaters on November 29th. It hasn’t been determined if “Ordinary Love” will be included on U2’s new album, produced by Danger Mouse. U2’s 15th offering is due out March or April of 2014, with a tour rumored to start in June. 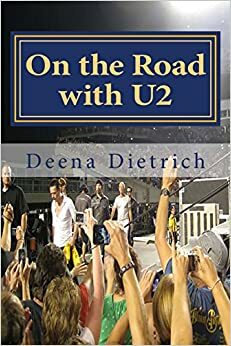 For all of your U2 news, follow me on Twitter @OnTheRoadWithU2.